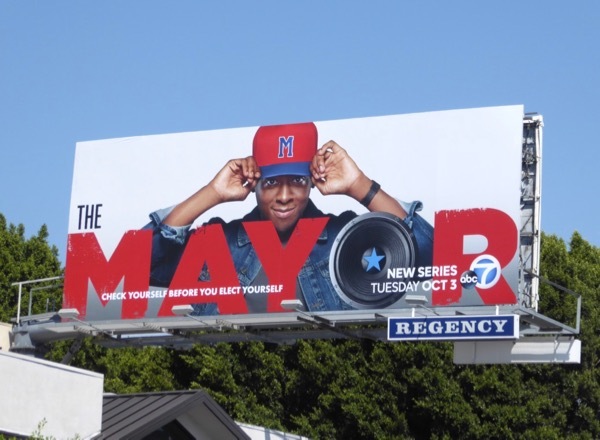 If a corrupt businessman and reality TV star can be American's President, why can't a rapper run for office too? 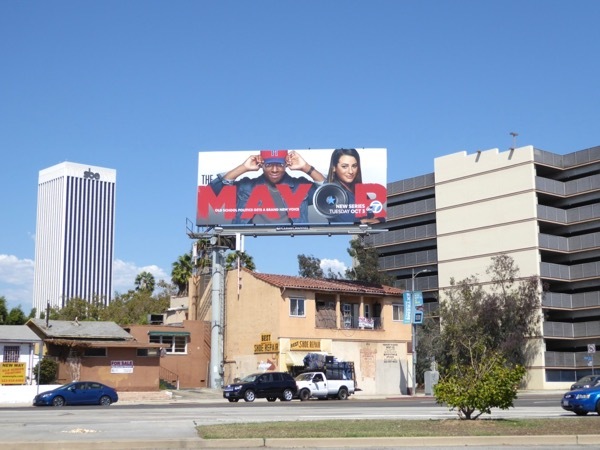 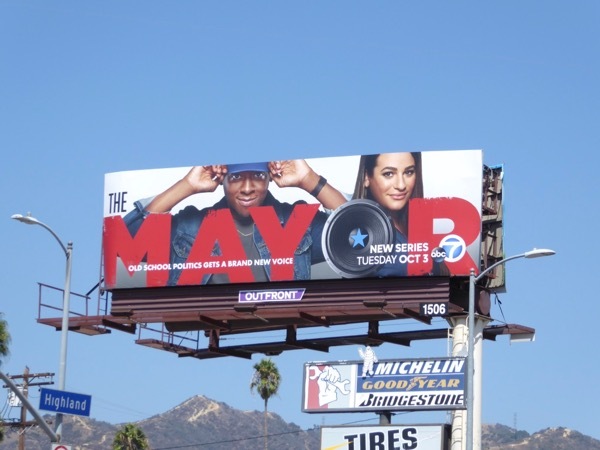 That's the premise of ABC's new comedy The Mayor, when a hip-hop artist runs in his local election as a publicity stunt to promote his career and ends up winning to everyone's surprise. 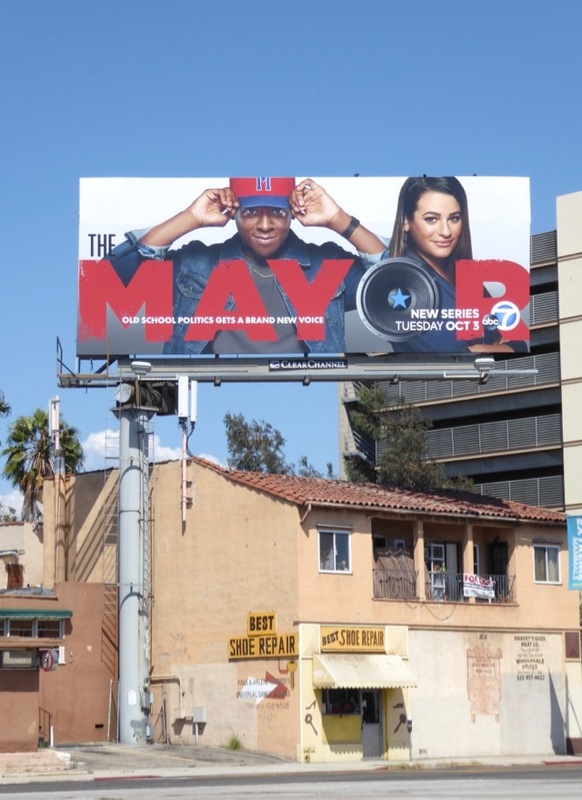 Search Party's Brandon Micheal Hall stars as the titular government official, 'Courtney Rose', whilst Glee's Lea Michele plays 'Valentina Barella' his new chief of staff after running the campaign for the losing mayoral candidate. 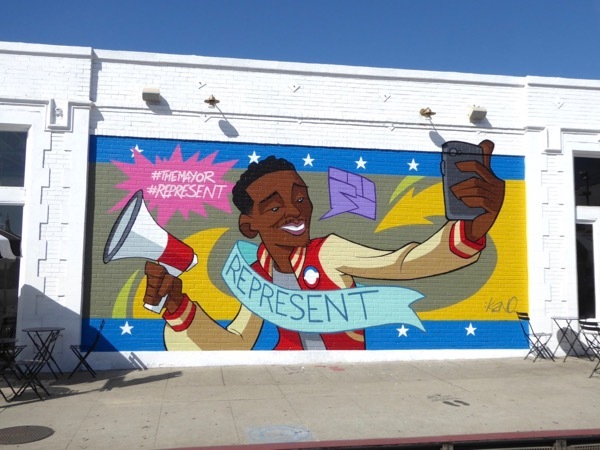 Rather than simply rapping about change, Courtney now has the chance to use his smarts, charisma, swagger and voice to make some real change for his community. 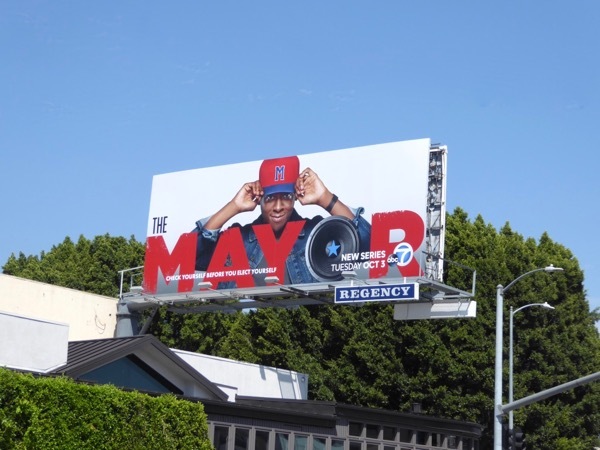 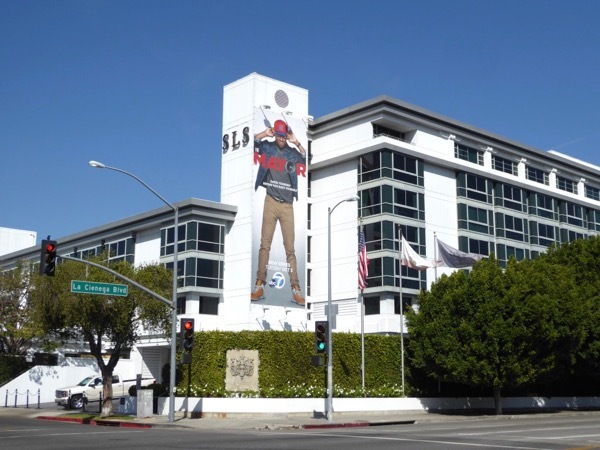 These series launch billboards were first snapped above Olympic Boulevard on August 27, then later along Highland Avenue, the Sunset Strip and La Cienega Boulevard through September 29, 2017, with the selfie wall mural ad spotted at Melrose and Harper Avenues. 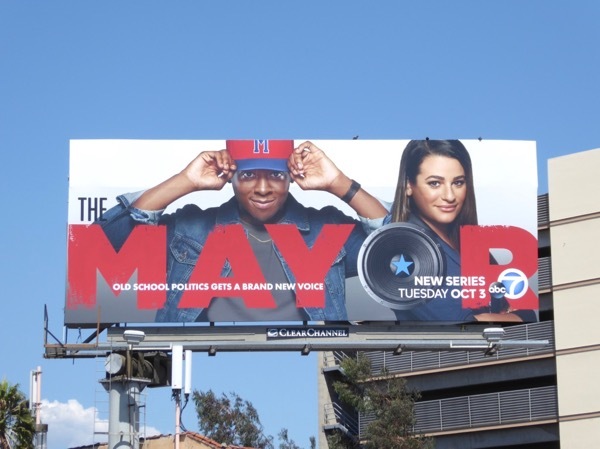 Meanwhile fans of Lea Michele can also enjoy these Glee billboards and these Scream Queens billboards. 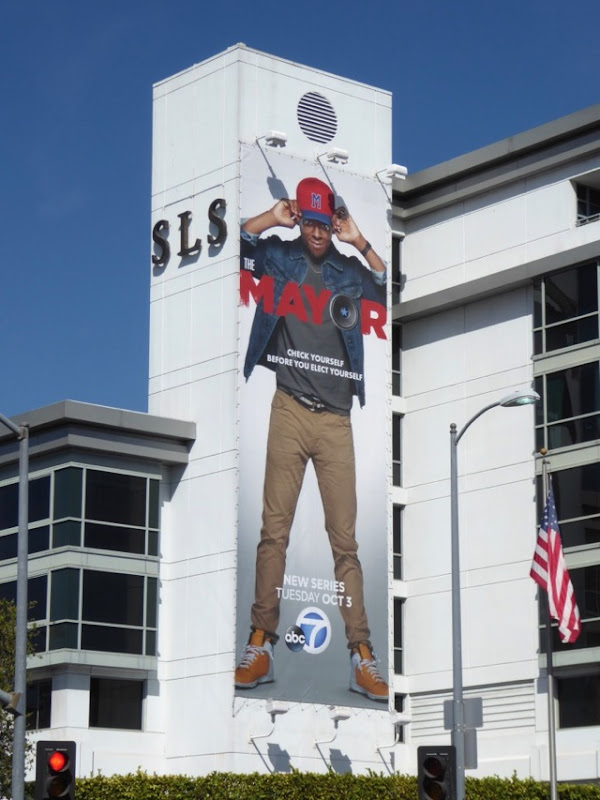 Let's see if The Mayor can win over viewers this fall TV season when they vote with their eyeballs.